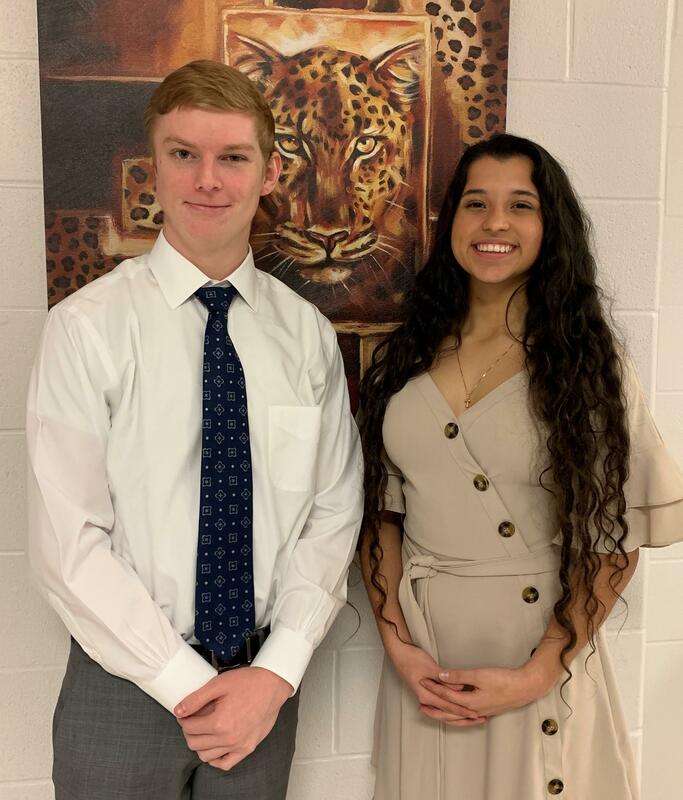 Read about FISD's outstanding January Students of the Month, Zoe Martinez and Ryan Parker. Zoe Martinez is the 18-year-old daughter of Wendi and Miguel Martinez. She has an approximate GPA of 101 and is in the top ten percent of her graduating class. Zoe is active in the AFJ-ROTC, serving as the Corps Commander this past fall as well as serving as the commander of the Chorale, the Female Varsity Orienteering team and the Drone & Raider teams. Zoe received the Dadellian award, Green Beret award and the Best Cadet award. She is also the vice-president of the Class of 2019 and participates on the track team competing in the 100 & 200-meter runs. She is a member of the National Honor Society and the Student Council. In addition to her many ROTC positions and responsibilities, Zoe takes advanced courses including dual credit and AP. She also volunteers with her church ACTS program and choir. She has worked part-time at Trail Rider’s as a server. In her spare time, Zoe sings and plays the piano and guitar in music ministry for weddings, funerals, and quinceaneras. Zoe plans to attend West Point to study Foreign Affairs. Her strengths are Futuristic, Connectedness, Belief, Developer and Positivity. Ryan Parker is the 18-year-old son of Kelly and Gregory Parker. He is the current valedictorian of the class of 2019 with an approximate GPA of 105. Ryan is in all advanced classes including dual credit and AP and is an active member of the National Honor Society, Link Crew, and the UIL Academics team. He has been recognized for his outstanding academic work ethic, receiving the Pre-AP World Geography award, the AP Chemistry award, the Pre-AP Physics award, the Pre-AP Calculus award, and the Freshman Composition award. Ryan has been a member of the Varsity Baseball team and will be representing FHS this year as a member of the golf team. When not working on academics, Ryan volunteers with the Relay for Life and his church Vacation Bible School as a group leader. Ryan has been accepted to The University of Texas at Austin and the Red McCombs Business School where he plans to major in Finance. His strengths are Strategic, Futuristic, Relator, Restorative and Achiever.